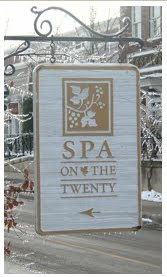 Last April I was one lucky duck, my grandma took me and my mom to the spa at Inn on the Twenty. Inn on the Twenty is a little compound in the town of Jordan, Ontario. There is a fabulous restaurant, spa, inn and winery. It is "Niagara's first wine country destination." The restaurant On the Twenty was founded by Anna and Michael Olsen. Anna Olsen is a fabulous celebrity chef, specializing in pastry. She has had numerous shows on the Food Network, her current one being "Fresh : With Anna Olsen." The restaurant is just amazing and the dishes contextualize Niagara wines with a regional cuisine. Their goal: to make innovative dishes that complement our wines and leave guests wanting "more Niagara." The dining room overlooks the Twenty Valley and a beautiful perennial garden. Ontario art contrasts the vibrant golden walls. 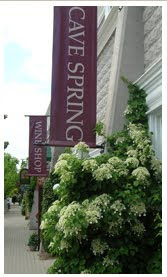 The food is paired with the wines from the winery - Cave Springs. On top of experiencing lovely spa treatments, the whole atmosphere of being at a little compound dedicated to health, happiness, food and wine was amazing. 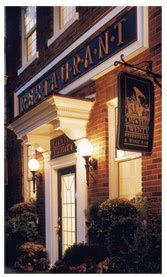 Inn on the Twenty is a great weekend getaway, for couples, mother/daughters, even with your friends. You will be well rested and EXTREMELY well fed. The wines are truly delicious as is the food. The staff really puts their heart into creating a delectable menu. Check out Inn on the Twenty, a fantastic getaway in Ontario's beautiful wine region, just an hour from Toronto!